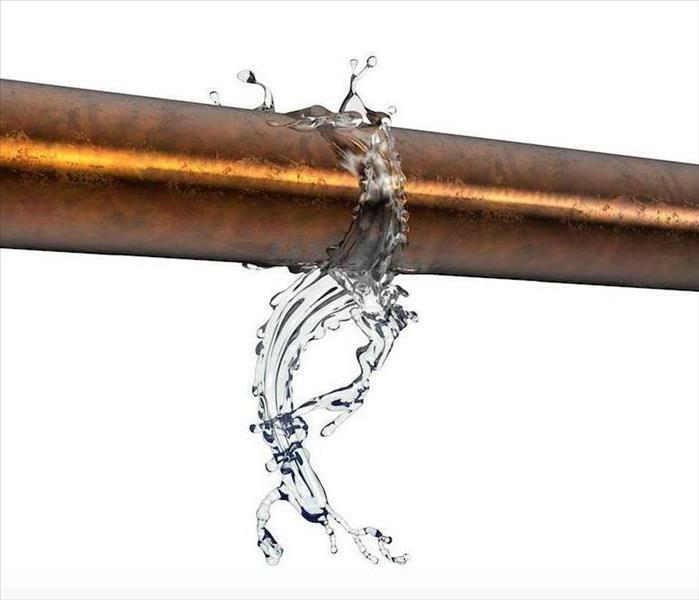 A burst pipe within the walls can cause water damage that many times can't be prevented. But the damage can be remediated properly by calling SERVPRO. As the science of restoration makes advances for better remediation of water damage for contents and structures, we can help property owners experience less loss of property and possessions through our proprietary methods. Water damage in a Nutley home occurred from a burst in a pipe running through the ceiling over a bedroom closet. The water saturated the ceiling and nearly everything in the closet area before the homeowner had a chance to shut off the water. SERVPRO arrived quickly and removed the saveable contents from the closet for drying and deodorization in our facility. SERVPRO technicians always try to restore contents of homes rather than have the homeowner replace. Carpeting saturated in a clean water loss event does not automatically need replacing if it is cleaned quickly and professionally. This is why our technicians spend a good deal of time extracting water from carpeting and padding. Doing several passes with an extractor wand lowers the amount of time needed for drying. A drying configuration called "floating" was used for the carpeting in the closet. One side was loosened, and an air mover was directed underneath to effectively pull all the moisture out of the padding and dry the carpet from the bottom up. As air movers force moist air to the surface, dehumidifiers capture it. Mold is always a concern after a water intrusion. To inhibit the growth of mold after drying, our technicians thoroughly wipe down all surfaces affected by the water with our antifungal solutions. This also is an effective way to neutralize odors left behind, so there are no lingering reminders of the drenching every time the homeowner opens the closet door. 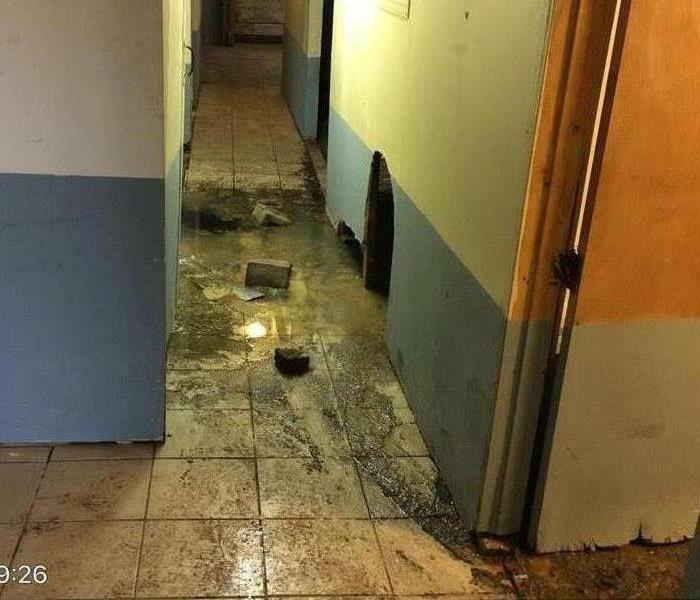 SERVPRO of Nutley / Bloomfield has 24-hour emergency services available at (973) 662-0062 to solve your water damage problem. We can handle any size home disaster and arrive within hours to make it "Like it never even happened." Click here for more information about the city of Nutley.